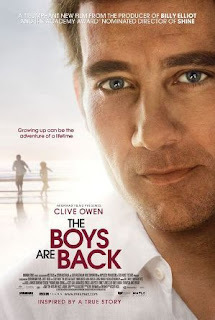 Based on the memoir by Simon Carr, this story of fatherhood set in South Australia. When the wife of sports-writer Joe Warr dies of cancer, he takes on the responsibility of raising their 6-year-old son, and his teenage son from a previous marriage. As Joe rejects the counsel of his mother-in-law and other parents, he develops his own philosophies on parenting. Despite this, he struggles to keep his family together, while his sons are just as confused as him.